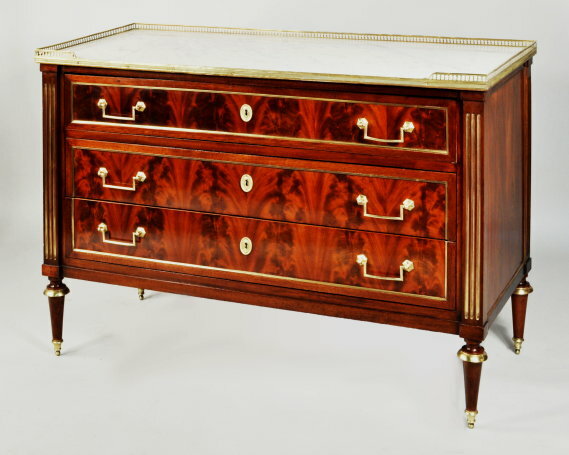 Fine French directoire marble top mahogany commode, with pierced brass gallery surrounding a grey marble top, set above two short and two long drawers, raised on turned feet with brass mounts. French, 19th century. 37" wide, 15 1/2" deep, 84 1/2" high.